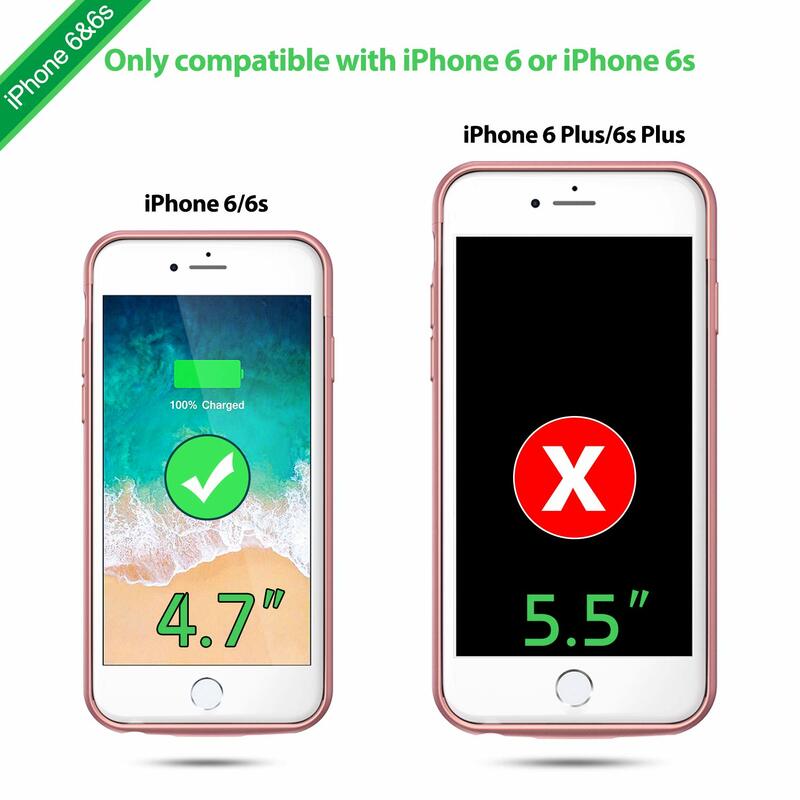 【IMPORTANT NOTE】:ONLY compatible with iPhone 6 or iPhone 6s, NOT FOR iPhone 6 Plus and 6s Plus. 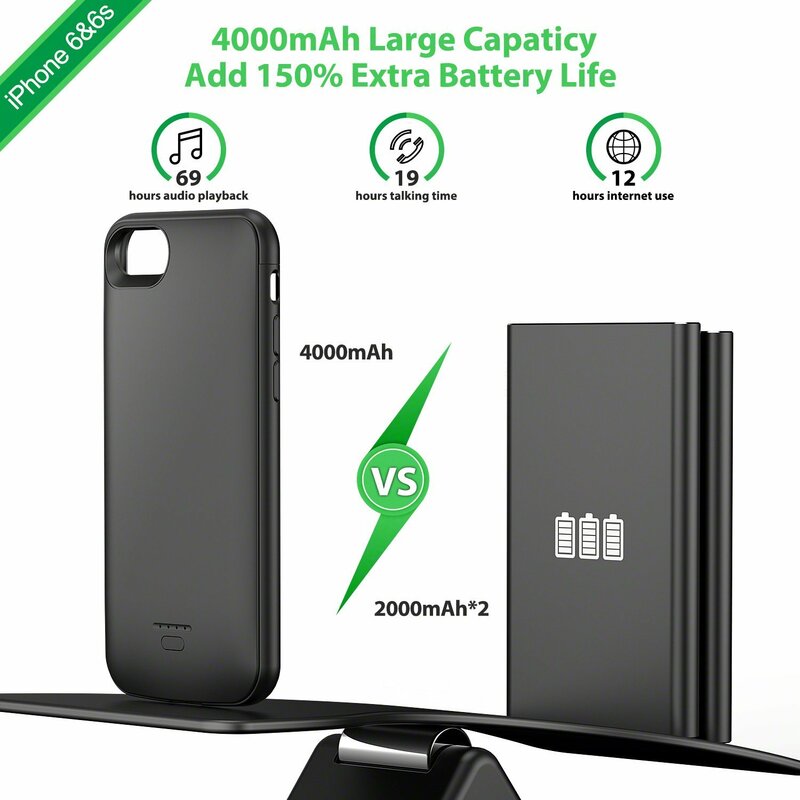 What’s more, Smiphee iPhone 6&6s battery case does not support Car Charger, High Voltage or Quick Charge adapters. 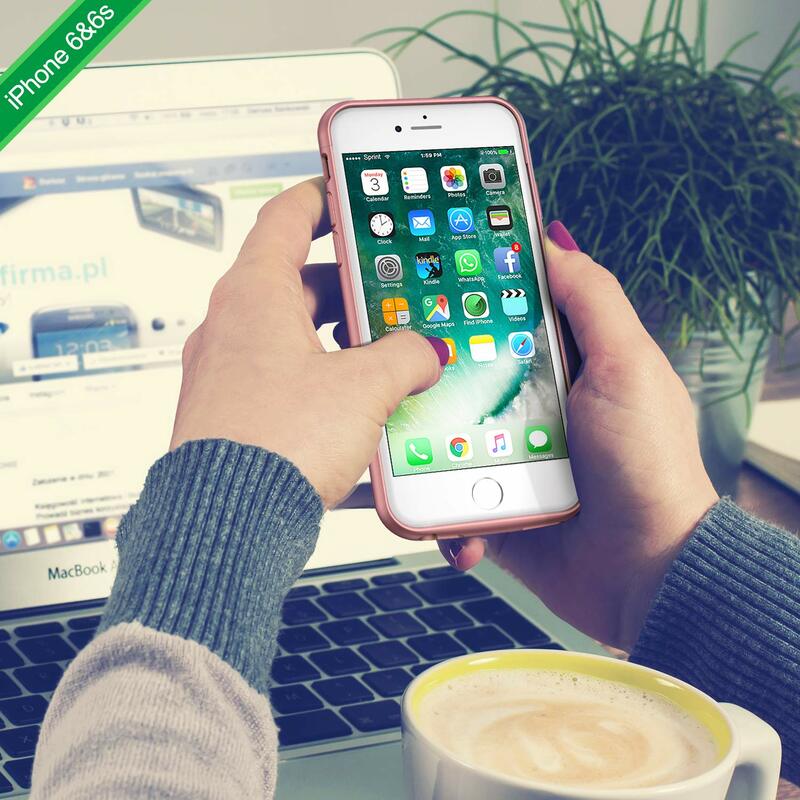 【ADD 150% MORE BATTERY LIFE】: Equipped with a powerful 4000mAh built-in lithium polymer battery chip, provides extra 12 hours Internet use,19 hours talk time, 70 hours audio playback to your iPhone 6/6s. 【MAX PROTECTION】: Raised sides and hard-shell design maximizes protection to your iPhone 6 or iPhone 6s, avoid scratching and dropping. In addition, the top piece built in with magnet helps easier installation and avoids missing. 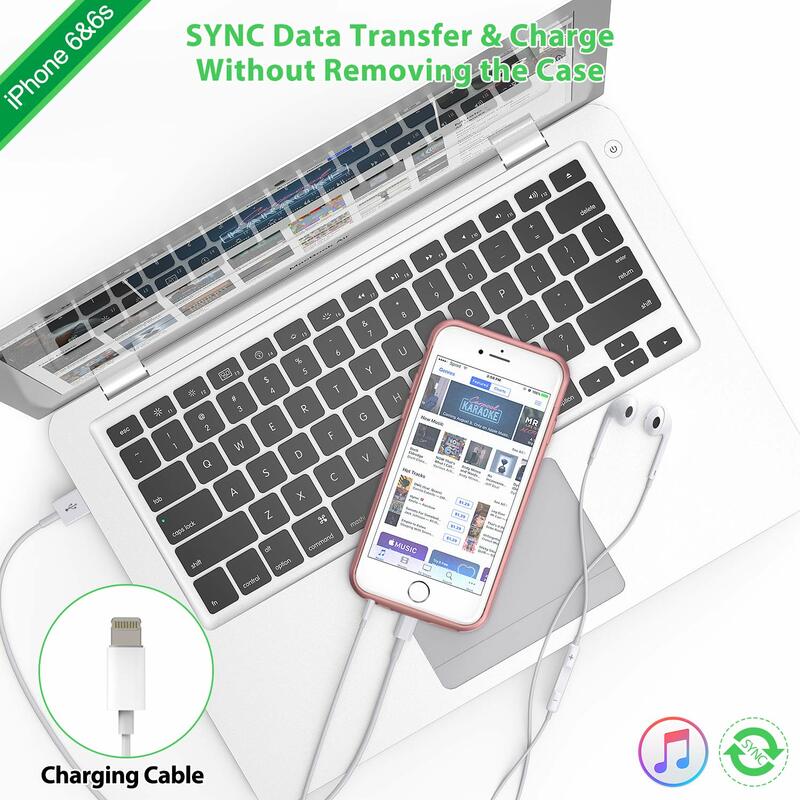 【EASY TO CHARGE AND SYNC】: You can charge your battery case and iPhone 6/6s simultaneously with your existing original iPhone charging cable. Also you can sync your iPhone 6/6s to your MacBook, PC or laptop without removing the battery case. 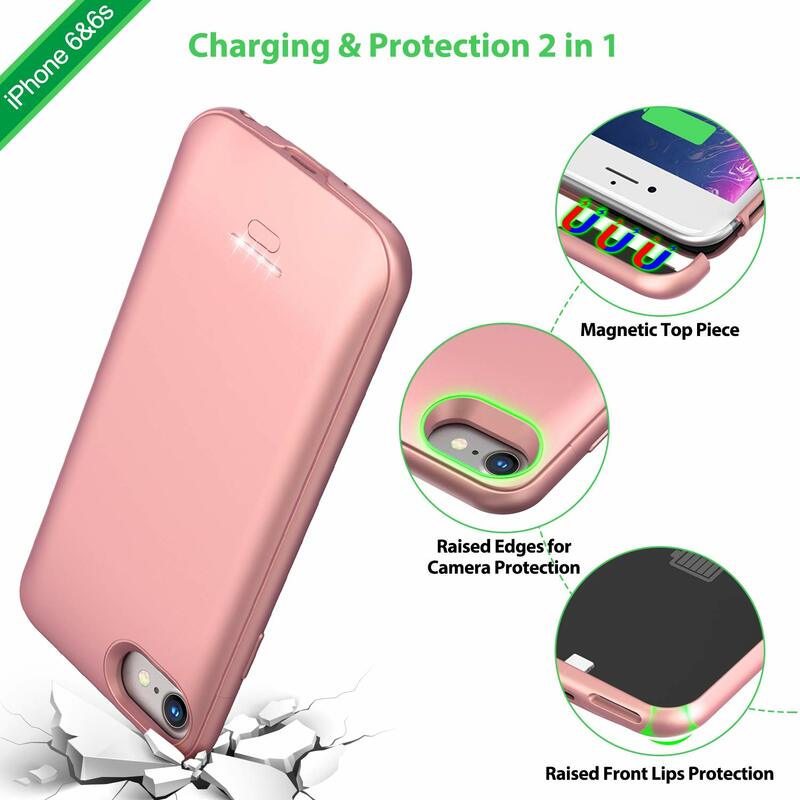 【100% MONEY BACK GUARANTEE】: Smiphee also delivers the best service, for any reason makes you unsatisfied, we provide a 30 days ask-free money back guarantee, and 1 year warranty. Enjoy this absolutely RISK-FREE purchase by clicking the “Add to Cart” button. 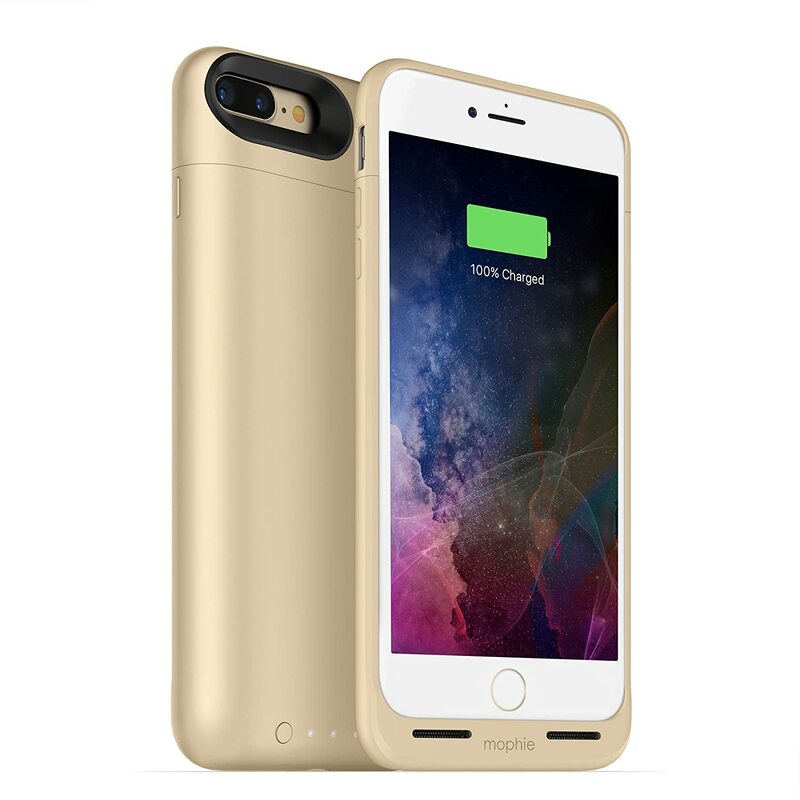 Ultra Slim External Protective Portable Charger Battery Case is designed to improve the performance and battery life for your iPhone 6/6s (4.7 inches ONLY). ALWAYS POWER ON, NEVER OFFLINE. Just press the button for one second,then the led indicator will show how much juice is left,one LED light means 2 power. 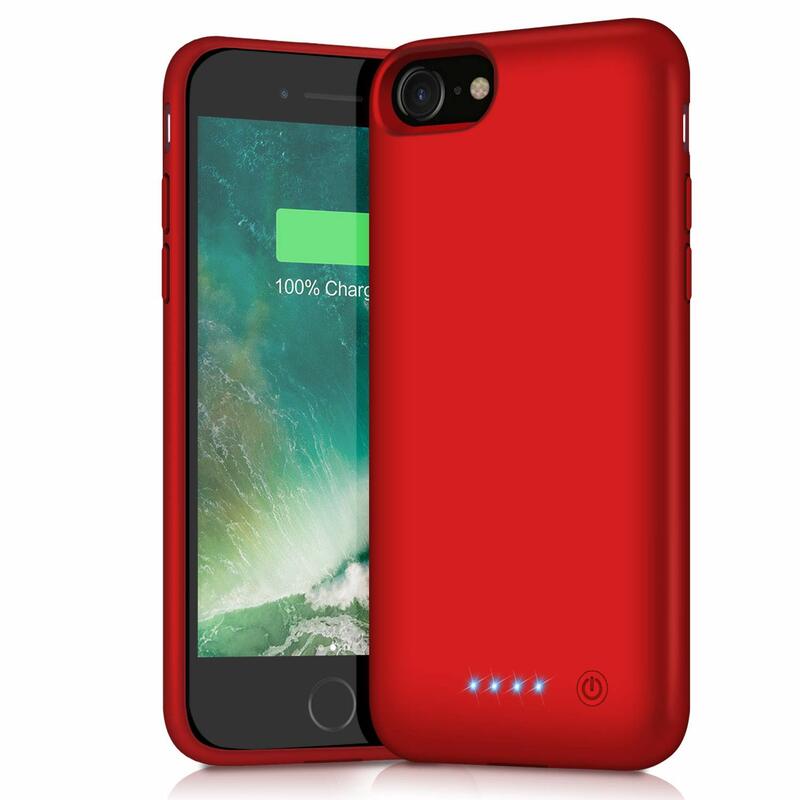 Please use iPhone 6&6s battery case in proper temperature range(under 40℃) and do not put it under heat, source or into any liquid. We recommend that you can use original iPhone charging cable and wall adapter(5V/1A ONLY) to charge iPhone 6&6s battery case, iPhone 6&6s battery case Does Not Support Car Charger, High Voltage or Quick Charge deployed adapters. This is a great case. I bought this for my 12 year old son. The case is very durable. It's been dropped a few times and has held up nicely, while protecting the phone. It is very easy to install the phone. Just take off the top of the case and slide the phone in. 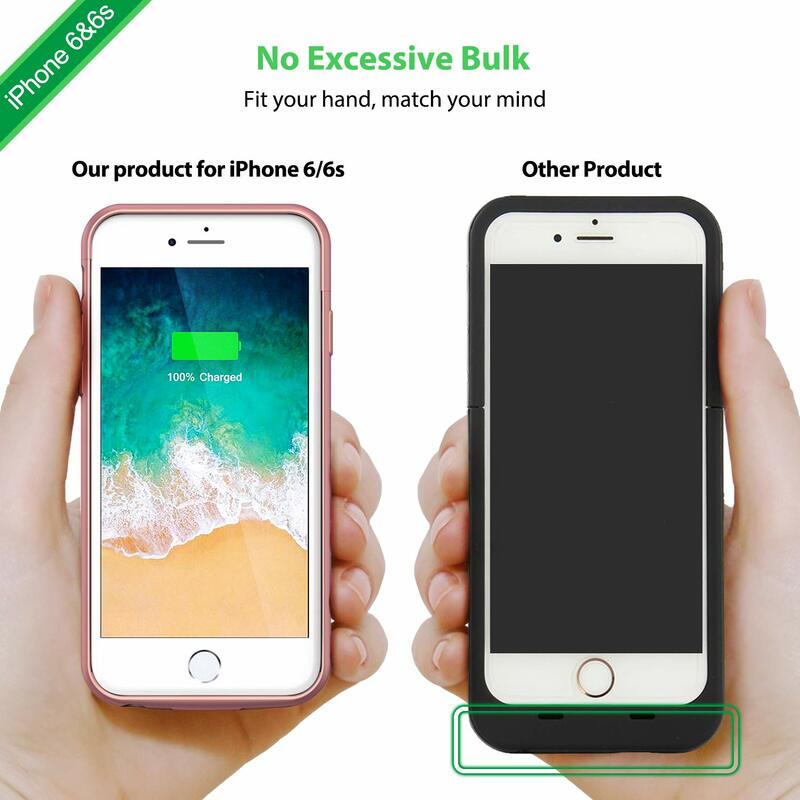 I highly recommend this case! Great product! Great brand! High quality build and the most aesthetically pleasing battery case for the iPhone 6/6s. I've also owned the the Apple and Mophie battery cases. The Apple battery case has the absolute worst design because of the awkward bulge at the middle. Plus it cost 4x more and has less than half the storage capacity at 1877 mAh. 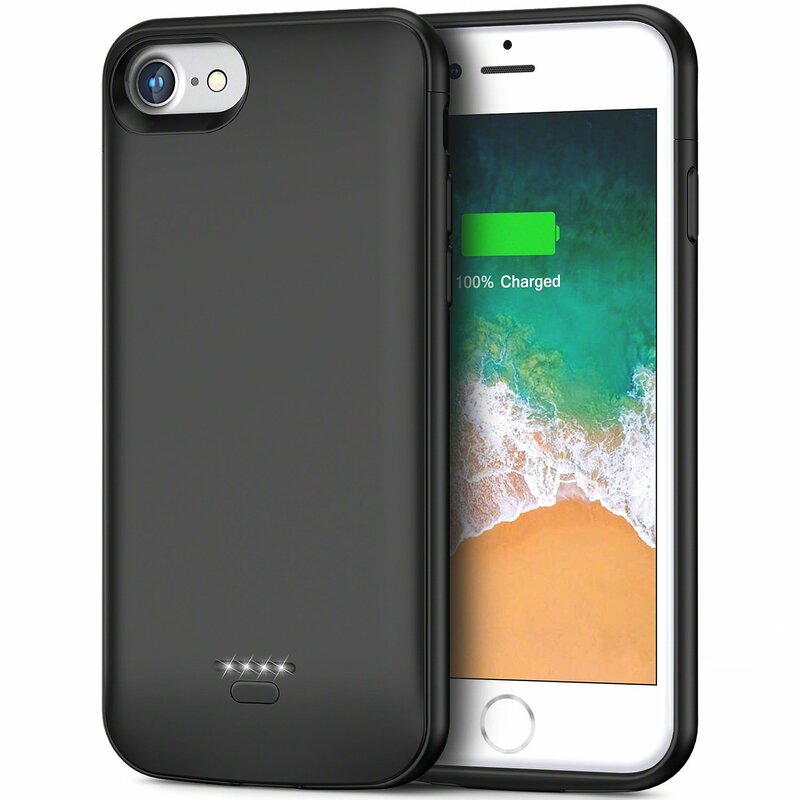 The Mophie case is better but also less appealing because of the elongated design which adds another 1/2" below the phone. 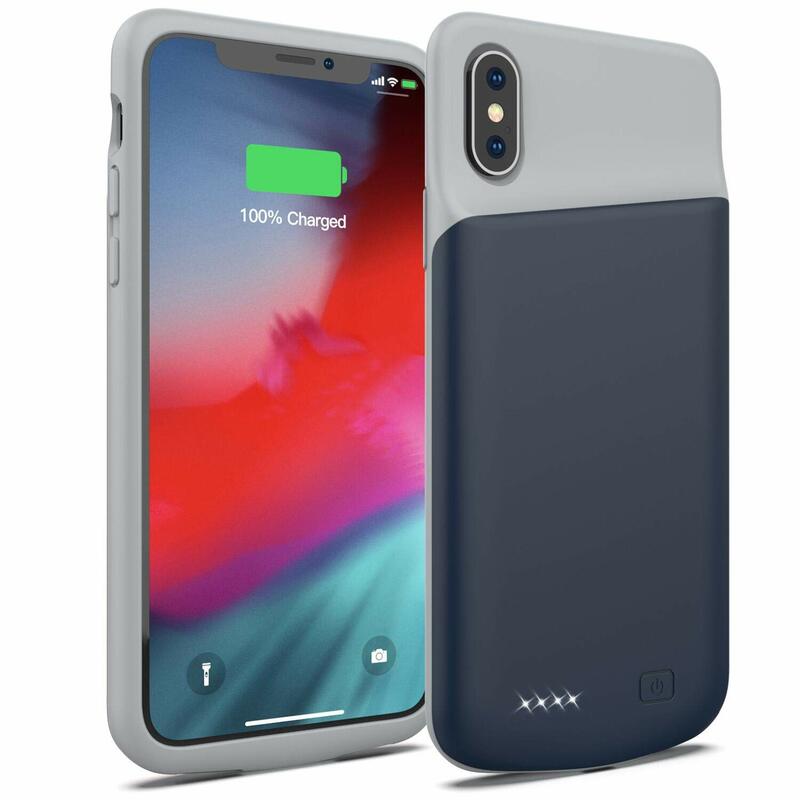 This battery case not only has the longest storage capacity, but also spreads the battery cells evenly across the entire back so it's a lot sleeker looking and functional. There is a noticeable weight difference but that's to be expected with the 4000 mAh storage capacity. Really like this case. The old was good but this one is a LOT better. No problems so far. Charges well and the case seems a lot sturdier and the grip is very smooth. Slightly bigger than previous one but this one holds a bigger charge, so not a problem. This case is very very good... it is sturdy, a bit bulky compared to the previous model but it also gets me more juice. I have had my phone to 10% and then back to a 100%, back to 20% and the back again to a 100%. 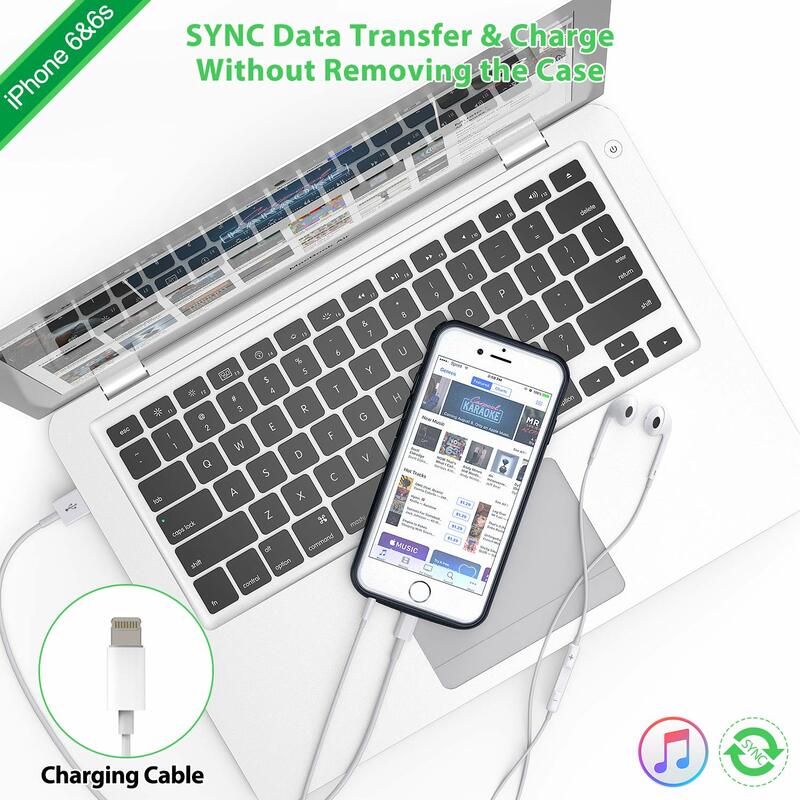 The Lightning connector is great so no extra cables to be used. The top part has also now a magnet , which is good because in the previous model it was easy to loose. Access to all the ports and even the silence button is excellent . And for me one of the best parts is that I have a scosche vent mount, and the magnet attached to my iPhone, so the phone slides with no problem or pressure, and it holds perfect on the vent mount. 1) It uses a Lightning connector rather than a Micro USB cable. I can continue to use my original iPhone cables and accessories. 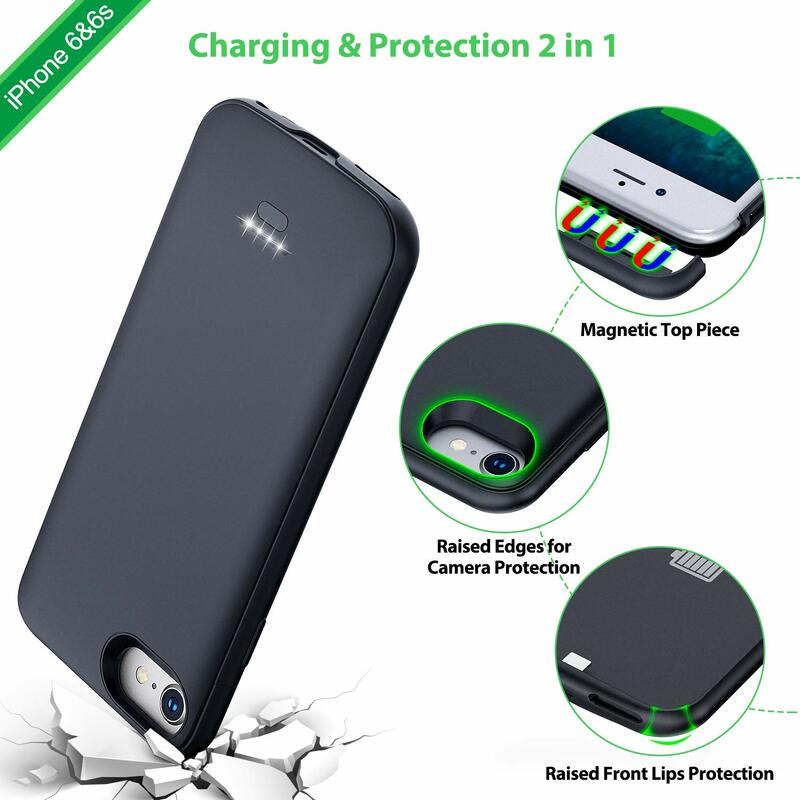 2) I can plug it in overnight and both the phone and the case will charge. Some cases require you to charge the phone separately from the case. 3) The headphone jack isn't buried so deep in the case that my headphones can't be plugged in. I had a previous case that required an extra dongle in order to get headphones plugged in. 4) It has a matte finish that doesn't easily slip off surfaces or out of your hand. 5) Battery size is great -- 4000mAh is larger than many battery cases. 6) Despite that, it doesn't add an unreasonable amount of bulk to the phone. 7) No garish logo on the case! No logo at all, in fact. 8) Subtle battery indicator does a good job of showing how much charge is left in the case. I can't think of anything I'd want this case to do that it doesn't already do. It really feels like there are no compromises. I owned the last version of this case and never left home without it. This version is better. I get roughly 3+ full charges out of it, which is amazing. The weight is just a tad bit heavier then the previous version, but barely noticeable, if at all. It charges the phone (and itself) very fast, works with all of my existing Lightning Port charging accessories and also does pass-through charging. It will charge the phone first, then the case, which also comes in very handy. 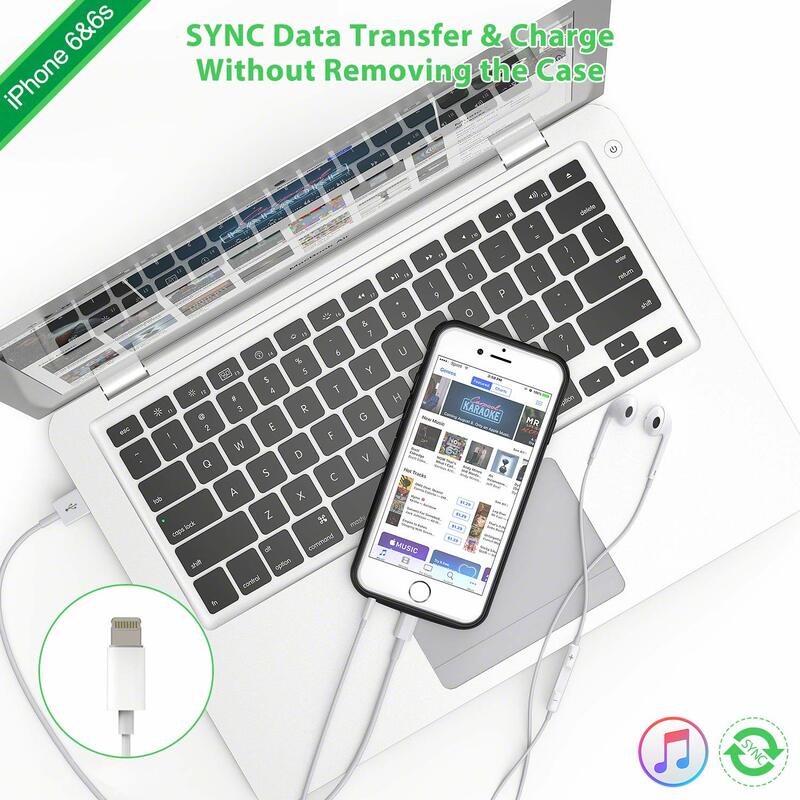 I can also connect my iPhone directly to my PC with the case on and it connects perfectly. The quality of the case itself is excellent. After a few weeks of using it, it has held up with no scuff marks, scratches, etc. The phone also fits into the case like a glove; a perfect fit. I definitely recommend it to anybody looking for a solution like this. You will not be disappointed. 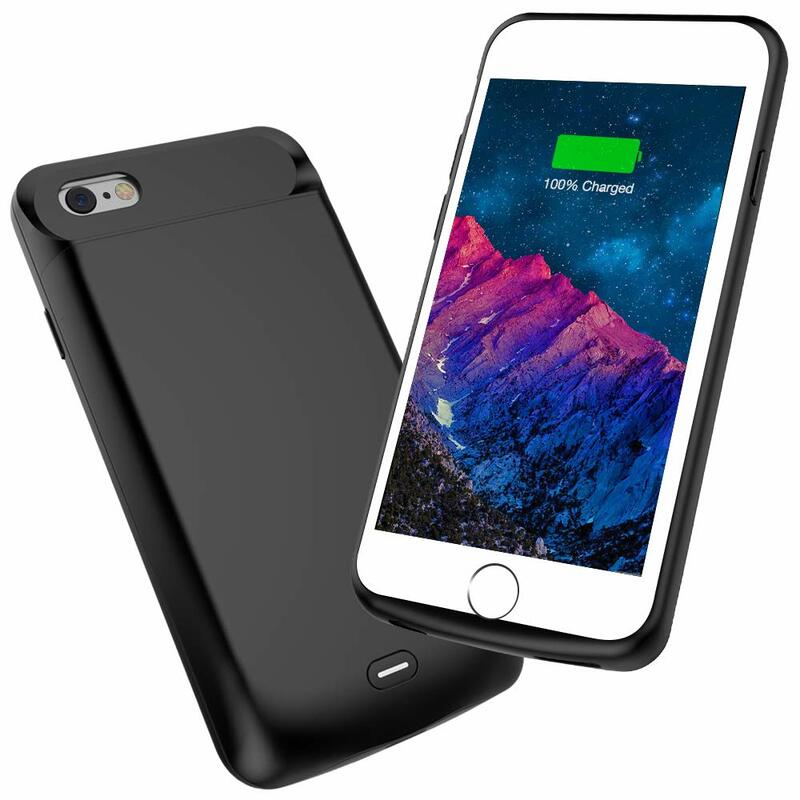 This iphone 6 case is is also a battery. 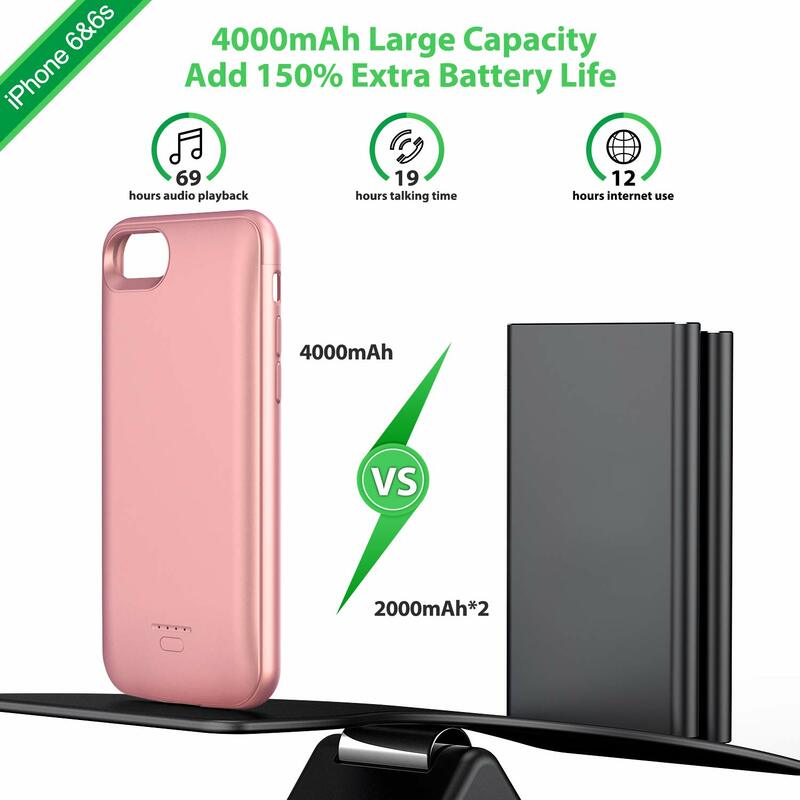 The battery charges very quickly (about 2 hours to get 4 lights) and the battery charging case charges my iphone 6 within 30 minutes or so to 100%. It is nice to have a case that is also a battery. I see many other people have cases and say "is that a battery" and they say 'no just a plastic case'. Then i show them my battery case and say 'mine case charges too...' It would be nice to be able to have different colors or skins or even stickers that can be added on later. 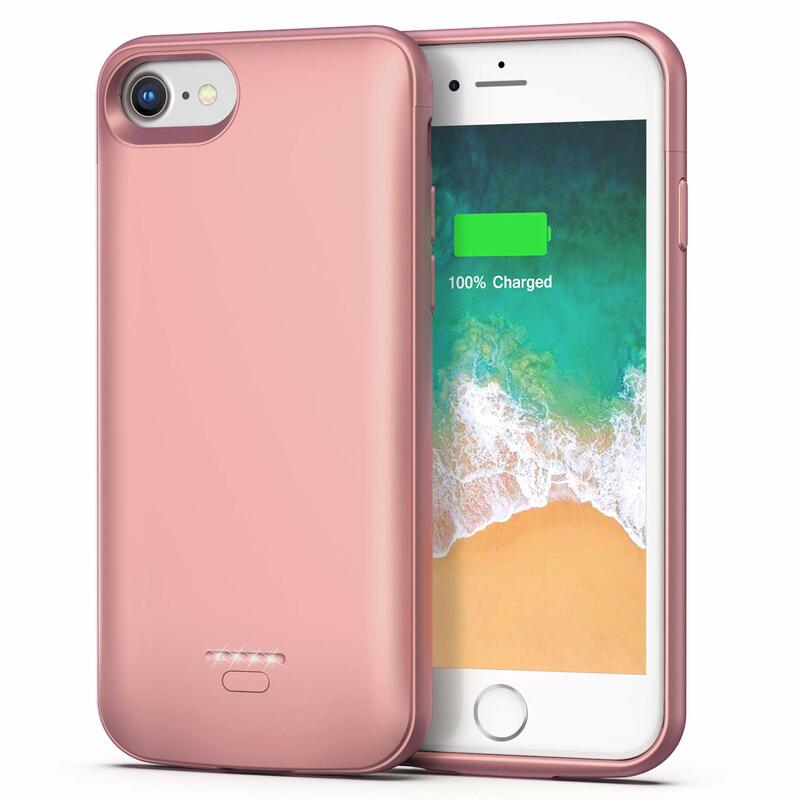 Was a little skeptical when I bought this battery case (only had a few reviews then), but our anxiety was over as soon as I unpacked and held it. Extremely comforting rubberized feel - it won't slip out of your hand, and it is kinda heavy too - so packs some juice. What I loved most was how the case fit our 6s - sliding in with a separate snap-in piece on top - so safe and foolproof. And the gentle contours with even thickness makes the phone with case not only look elegant (more than other cases we had seen), but also comfortable and ergonomic to hold. My daughter definitely prefers the manual charging mode so she can be in full control. So far it is giving great battery life, at least 3 full charges if not more (from 20-30% left on the iPhone). Would buy another in a heartbeat!